Last week things were thrown a little of course when I was called on Monday to collect James from school as he had been sick! I have to admit when I picked him up he looked a little pale but quickly recovered. He was asking for food a few hours later and kicking a football around my living room! Safe to say he couldn't wait to get back and see his friends by Wednesday. We also submitted our chosen races for a swimming gala James will be doing in May. He has been reluctant to enter races above 25m as he worries about him tumble turns but has agreed to do two 50m races and two 100m races as well as the 100m medley race this time. Evelyn has been absolutely loving being at swim club like her big brother and was super excited to be picked as the "line leader" at school this week. It also means she got to bring home a special box from school which she gets to fill with all her favourite toys and things to share with her class. Of course one of the first things to go in there was her new swimming hat, closely followed by her L.O.L Surprise dolls of course. 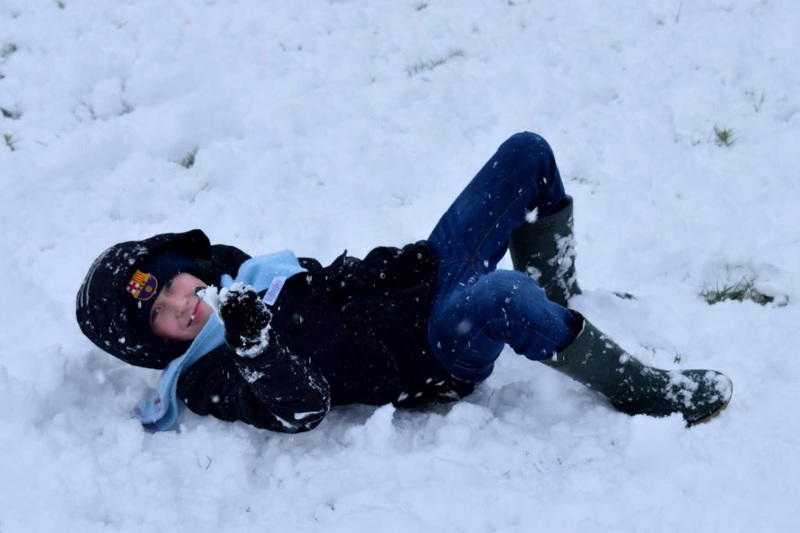 Of course though, this weeks photos could only come from one day.... our SNOW DAY! The kids were so excited to wake up on Friday to see a generous helping of snow settled on the ground. They were even more excited when they realised school was called off and they would get to go out and play in it. We met up with friends about 8.30am to enjoy the snow before it got too stomped on and turned to muddy slush. It was like a winter wonderland with a majority of the snow untouched and simply beautiful. The kids had lots of fun having snowball fights, sledging and building a snowman before retreating back home as we were all absolutely freezing! 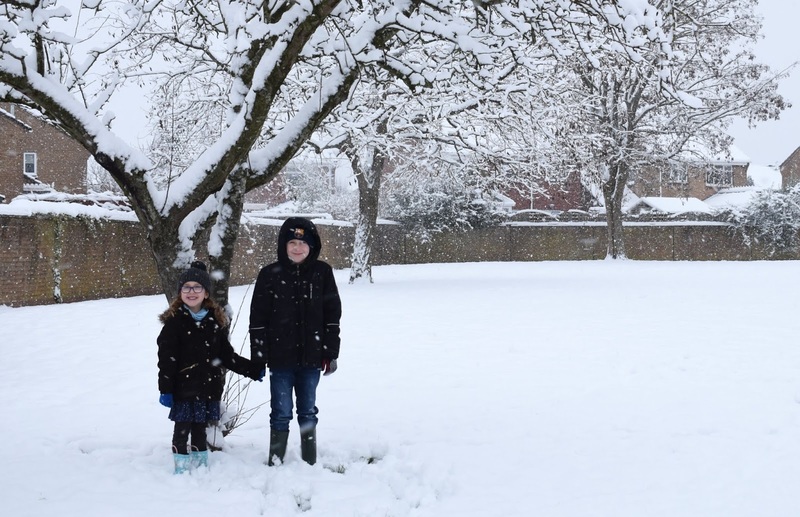 Such super photos, so lovely to see your little ones enjoying the snow :) I only wish we had more of it! That is some fantastic snow! I am so jealous, we only got a sprinkle of snow.